Contact us for a pre-printed sample kit today! 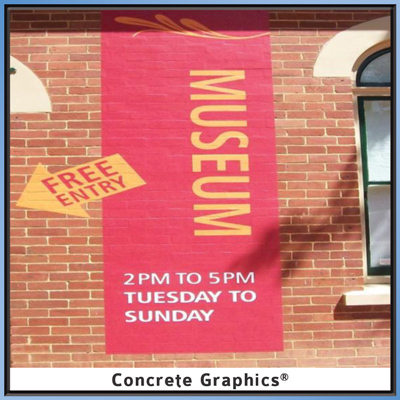 Concrete Graphics is a foil-based decal layered with a coating of glass beads making it reflective and anti-slip. 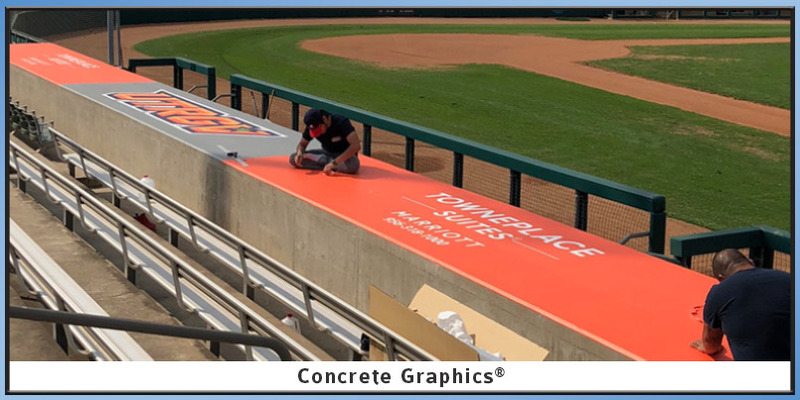 Designed for indoor and outdoor use, Concrete Graphics easily conforms to grooves and take the shape of any surface, making it look like it's been painted on. 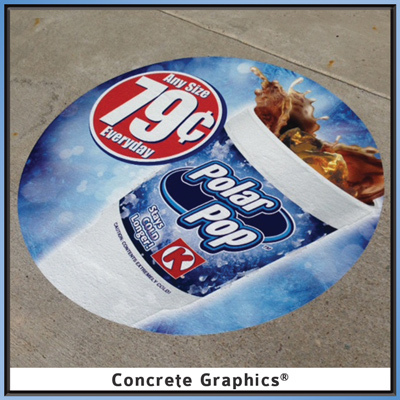 Concrete Graphics can be custom printed and cut per your specifications. 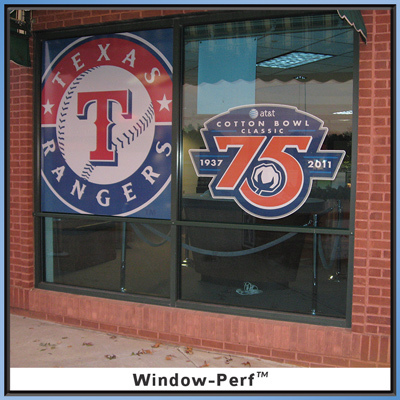 They are easily installed by using a peel-and-stick application. 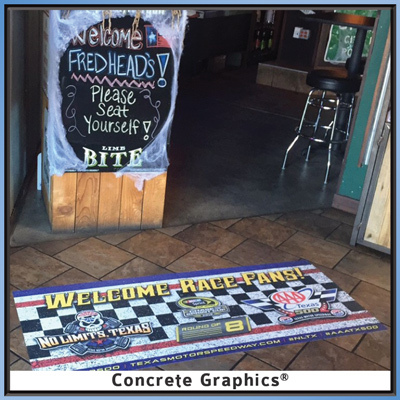 We recommend using our special Concrete Graphics roller to make application faster and easier! 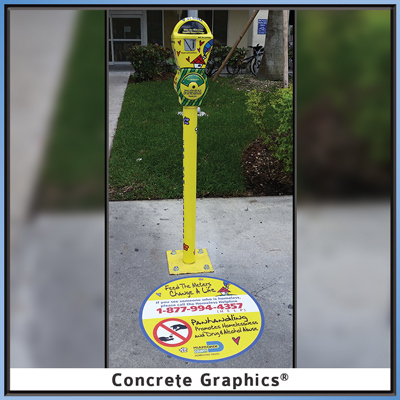 Concrete Graphics is an ideal sign product for way-finding, event promotion, facility safety, advertising and getting your message in front of pedestrians. 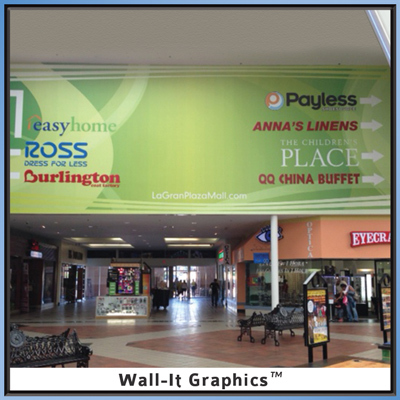 Digitally printed to meet your customization needs ... and fast! 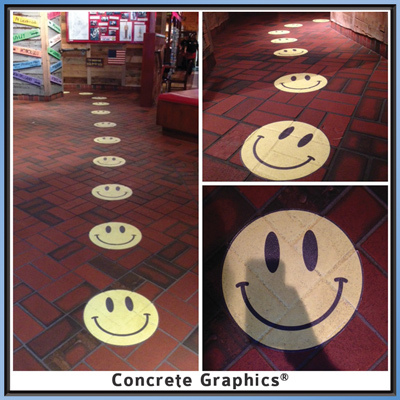 Interior vinyl floor graphics are produced with an over-laminate that is slip resistant and protects the printed graphics from everyday maintenance. 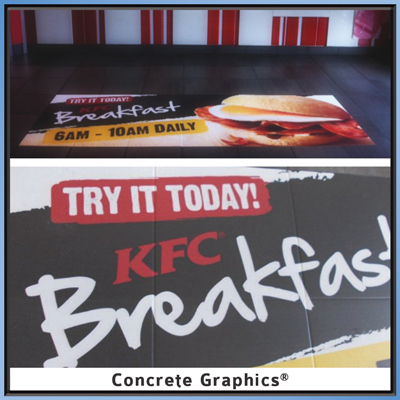 Flexi-Floor Graphics can be applied to waxed and no-waxed commercial PVC tile, certain ceramic tile, sealed concrete, and commercial carpet. 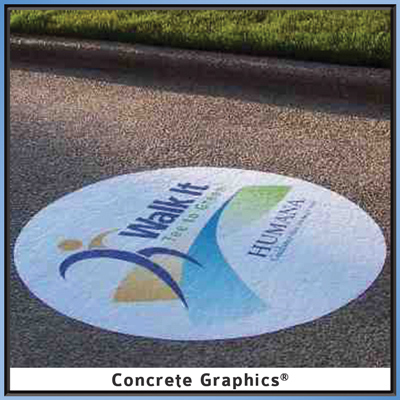 This decal is made with a protective polycarbonate overlay making it resistant to typical wheel traffic from forklift and two motors in manufacturing and warehouse environments. 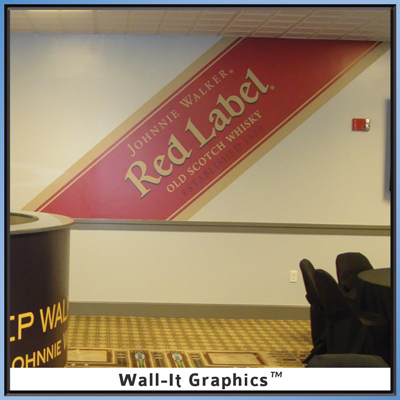 Graphics are sub-surface printed with UV resistant inks, allowing it to resist chemicals and solvents. 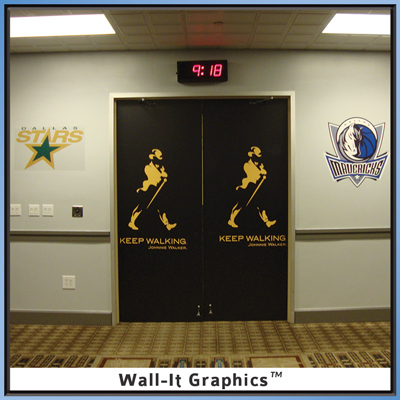 Lo-Tac 6-mil vinyl wall decals, with UV-printed inks, can be custom cut to shape. 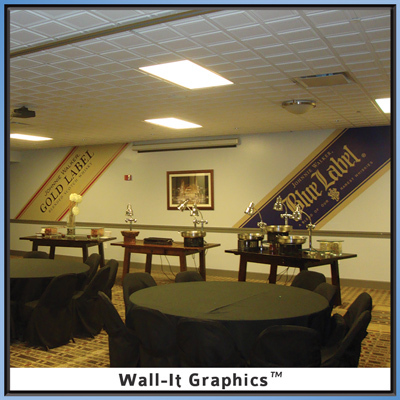 Wall-It Graphics can be easily removed or repositioned without damaging the surface to which it is adhered. Apply Wall-It to most smooth surfaced interior walls, painted cinder blocks, glass windows, plastic, metal, and finished wood. Durable, clear protective cover for bar codes and quick response (QR) codes. 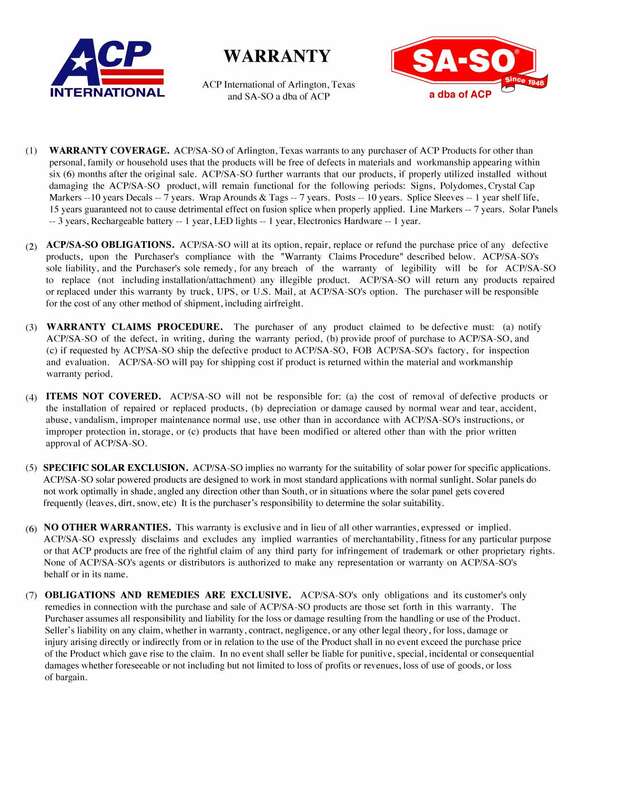 FEatures a permanent adhesive that is designed to scan through for quality and inventory control. 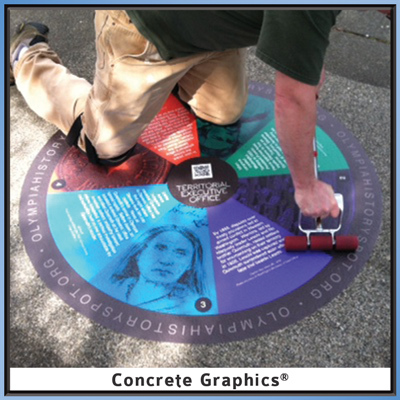 This decal can withstand foot traffic and temperature changes. 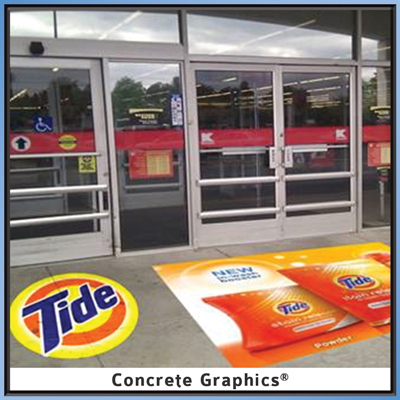 A pressure-sensitive graphic for indoor carpets that can withstand abrasion and heavy foot traffic as well as cleaning solutions, Carpet Graphics meet ASTM non-slip standards. The decals are easily removed with no adhesive residue. 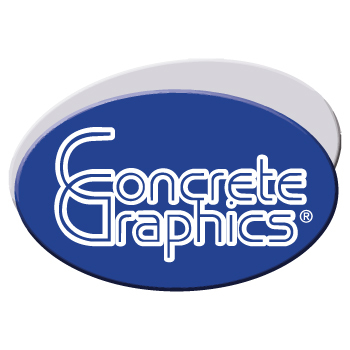 A decal made with less aggressive adhesive for high-end applications such as marble or granite. Use LO-TAC for applications where extra care is required. 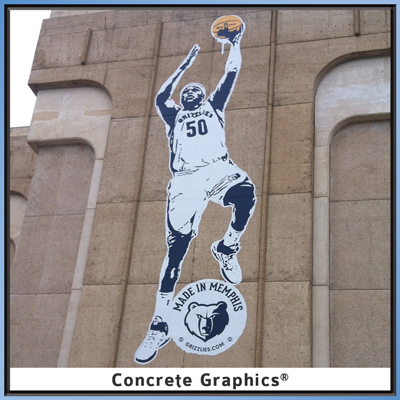 Designed for sudden loss-of-light applications, Concrete Graphics GLOW has all of the same conforming characteristics as our standard Concrete Graphics with one unique difference. The material illuinates in dark areas.